Google+ Adventures with Baby Boo Bear: Adventures with Fluff Bum! 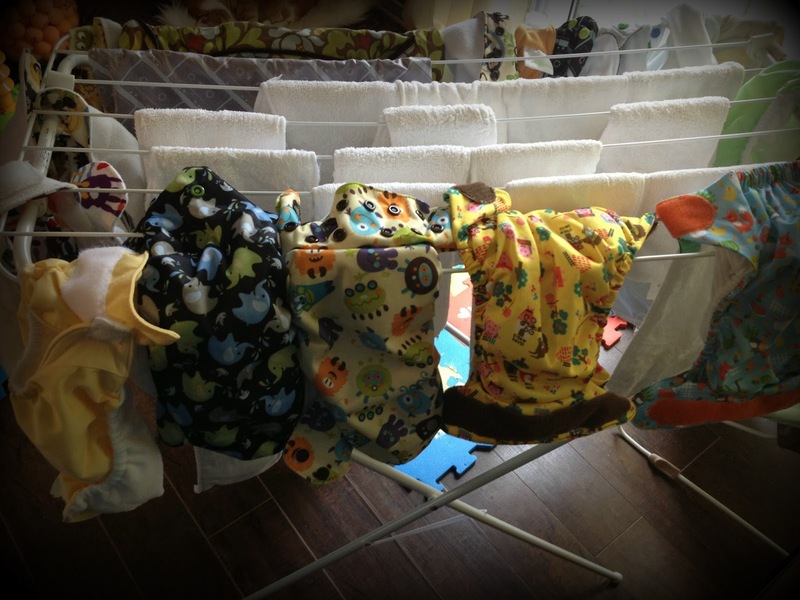 I am a proud cloth diapering Mama. 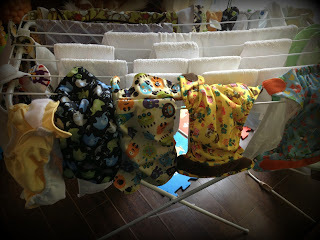 Well, correction, I am a very proud PART TIME cloth diapering Mama. We use cloth at home, except at nighttime. Heck, disposables barely get us through Emmett’s long night sleeps! I still haven’t found a system that I like when travelling so unless we are just running to the store and back we switch to a disposable. I have made it my goal to exclusive cloth (again, not at nighttime) by the end of the summer. I figure between trips to the beach, camping, park and other day trips I don’t want to beat myself up because I didn’t achieve my goal over the summer! Plus I don’t need to add sand and dirt to my already poopy diapers! Most people thought I was crazy when I said this was the route that we were taking but it has worked out very well for us so far! 1) My stash – we use AIO, Pockets & One Sized. This makes every very simple and so similar to using a disposable. I have LOTS of brands and can’t wait to review a few for you! 2) Laundering System – I think this is self-explanatory…and yes this post will be full of poop! I assure you - these are clean! I just love a fluffy bummed baby! Do you use Cloth Diapers? What are your favorite or least favorite parts?